The past year epitomized the toing-and-froing of planetary fortunes that have come to define global climate policy and debates. 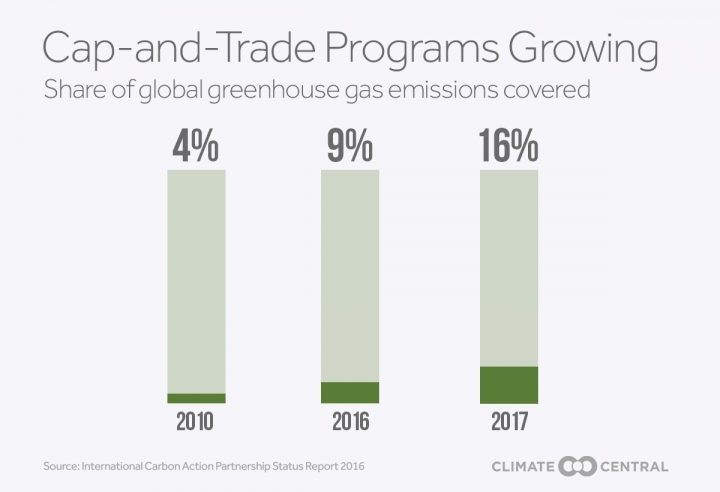 In late 2015, a climate accord was struck by nearly 200 countries in Paris, potentially heralding a new era of international cooperation in reducing carbon pollution and slowing global warming. 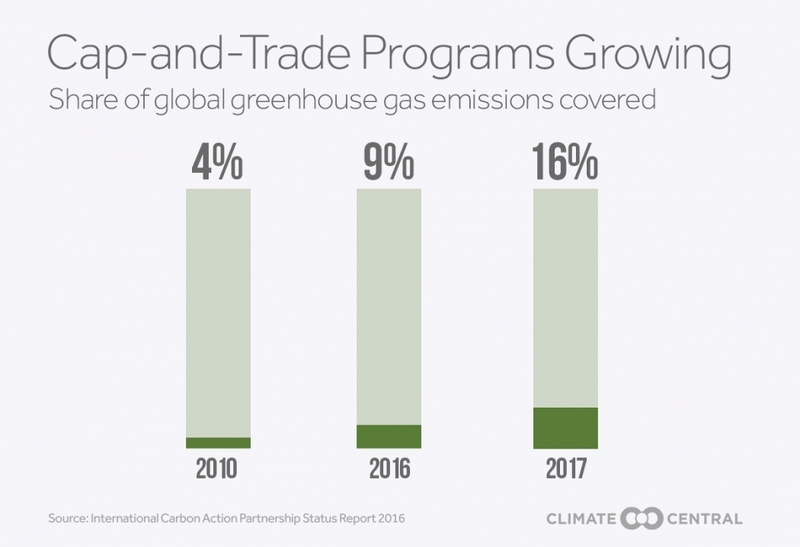 The pact was the result of extraordinary turnarounds by the world’s two greatest greenhouse gas polluters, China and the U.S., which had long resisted climate action. A clean energy project in China. Eleven months later, Americans elected Donald Trump as their next president, ushering into the White House a businessman who has falsely dismissed climate change as a Chinese hoax. His rhetoric on this issue is rejected by reams of science proving greenhouse gas pollution from power plants, exhausts, deforestation and other sources has already caused global temperature to rise nearly 2°F. Trump’s cabinet — full of climate doubters and denialists — and Republicans in Congress will likely attempt to drastically weaken or eliminate America’s byzantine environmental and climate regulations. But efforts outside of D.C. to slow warming can still progress, with some of America’s biggest states and some of the world’s most powerful countries vowing to forge forward with their efforts to reduce climate pollution. The election appears to be energizing grassroots support for climate action as people across America were already turning to climate activism, blocking fossil fuel projects nationally and in their neighborhoods. Meanwhile, young people are suing governments in state and federal courts for allowing warming to threaten their futures. Here are some of the key issues and places to watch this year as battles are waged against dirty energy, as climate policies are debated and implemented, and as governments abroad move to take over the leadership role that America seems poised to vacate. The federal government won’t likely be telling states they have to do their parts to fight climate change under Trump, but many of them don’t need to be told. A cap-and-trade program along and near the East Coast is operated by nine states, including New York and Massachusetts. Washington state lawmakers are considering introducing a carbon tax. Lawmakers in California, home to one of the world’s biggest economies, recently set 2030 climate targets that are more ambitious than nearly anywhere else in the world. “California is primed to continue leading the way,” said Michelle Kinman of the nonprofit Environment California. A carbon-pricing battle in Sacramento will be closely watched. Attorneys for Californian lawmakers have warned that the state’s landmark cap-and-trade program, which sets limits on climate pollution, will expire in 2020. Because the program imposes fees, extending it would almost certainly require supermajority approval from the state’s legislature and senate. Democrats clinched supermajorities in both those chambers this year. Whether they can use that advantage to extend cap-and-trade, or perhaps replace it with a carbon tax, remains to be seen. Activists scored major victories following drawn-out and sometimes bloody brawls in 2016. Among the wins, President Obama was convinced to reject a proposal to build the northern leg of the Keystone XL pipeline and to block the planned construction of a portion of the Dakota Access Pipeline near the Standing Rock Sioux Reservation. 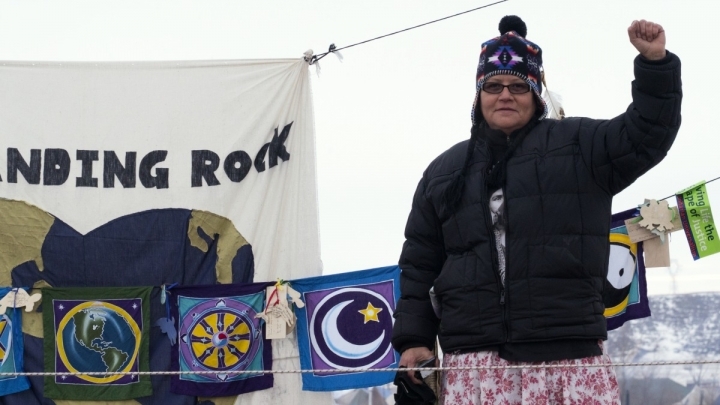 Protestors endured police violence in North Dakota in 2016, eventually convincing the Obama Administration to block construction of a stretch of oil pipeline near their water supplies. 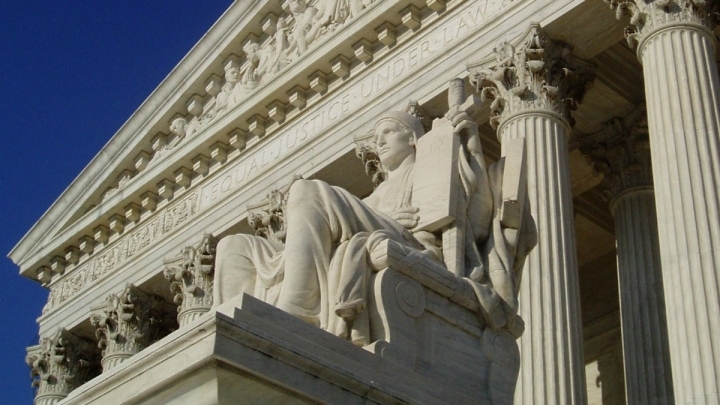 The decision could be overturned. 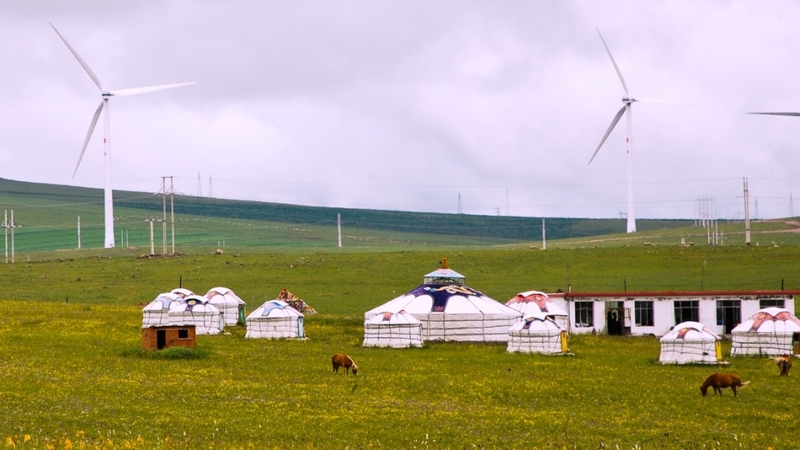 Not all battles against fossil fuel projects are so high profile. Countless Americans show up at local government and utility meetings every month to voice their opposition to proposals to build gas power plants, pipelines and other local fossil fuel projects. Sometimes they win. More often they lose. With Trump coming into power, climate and anti-fossil fuel activists are preparing to welcome new Americans into their movements. “There’s a focus to engage people on their local level,” said Nakisa Glover, an organizer in Charlotte who works on health and community issues locally and nationally. Among the scores of battles being waged against fossil fuels nationwide, Glover is helping to organize Repower Our Schools, a movement that aims to convince Charlotte’s schools to switch to 100 percent clean energy. That would reduce pollution and could save money — while students learn about renewable energy. “It’s something that people can really rally behind,” she said. The European Union pledged under the Paris climate agreement to reduce its greenhouse gas emissions by 2030 to 40 percent below 1990 levels (that’s ambitious by global standards, though many European leaders say the goals don’t go far enough). This year, in European Parliament in Brussels, the bloc’s lawmakers will debate and decide on rules and regulations that will guide how European countries will achieve that commitment. The debates will focus heavily on bioenergy. Once regarded as a potential solution to climate change, the increasing use of crops for biofuel and wood for electricity is tearing up native grasslands, felling forests, reducing farmland available for food production and accelerating climate change. In 2017, activists from around the world will be pressuring European Parliamentarians to adopt scientifically accurate approaches for regulating bioenergy and for measuring its greenhouse gas pollution during the 2020-to-2030 period. Half of Western Europe's largest coal power plant, Drax power station in England, has been converted to burn wood, increasing its greenhouse gas emissions. Inspired by a movement that helped end segregationist policies in South Africa in the mid-’90s, climate activists have been successfully pressuring large investors to divest their holdings in fossil fuel companies. According to a December estimate, nearly 700 institutions and about 60,000 people across 76 countries have so far divested or pledged to divest $5 trillion worth of fossil fuel stocks. 350.org is organizing a two-week blitz in early May, when people from around the world will be asked to call on their governments, pension funds, universities, banks and other investors to divest fossil fuel stocks. The success of that event will offer clues as to the strength of the divestment movement. Under conservative Prime Minister Stephen Harper, Canadian federal scientists were generally barred from openly discussing climate change with journalists. While some of its provinces charged fees for carbon pollution, the national government showed no real interest in protecting the climate. After liberal Justin Trudeau took power in early 2016, he made fighting climate change a priority and Canada’s scientists were unmuzzled. By the end of the year, Trudeau had announced that carbon pricing programs already in place in some provinces would be expanded into a national network. Despite his support for climate action, Trudeau recently met with Trump and discussed the northern leg of the Keystone XL pipeline. The pipeline would have carried heavily polluting tar sands oil from Canada south through the U.S., but Obama refused to allow it, citing climate concerns. If Trudeau and Trump work together to revive the proposal in 2017, it would suggest that Canada’s commitment to the climate is less robust than many had hoped. With anti-regulation Republicans controlling the White House and Congress, they’re expected to work together to tear at climate rules in ways that environmentalists will oppose in court. A major lawsuit challenging Obama administration rules on power plant pollution is already making its way to the Supreme Court. Trump’s team of climate denialist cabinet picks would be unlikely to defend the rules, however, leaving attorneys for environmentalists and progressive states to do the heavy lifting. Supported by big-name climate activists like James Hansen and Bill McKibben, the nonprofit Our Children’s Trust has been working for years to try to sue the federal government on behalf of young Americans. It argues that by failing to do enough to slow climate change, the federal government is violating the constitutional rights of its citizens. With most climate pollution linked to economic activity, private companies can play outsized roles in the fight against warming. Some large companies have already committed to powering their data centers and other operations with clean power in 2017. Technology companies in Silicon Valley and elsewhere are pioneering advances in electric vehicles, industrial batteries, solar panels and other technologies that help to reduce greenhouse gas pollution. Fossil fuel companies have long tried to portray themselves as green, even as they profited almost entirely from products that harm the planet. But as clean energy falls in price and grows in popularity, some fossil fuel companies appear to be genuinely repositioning themselves as providers of it. Norwegian gas and oil company Statoil won a bid to build wind turbines off the New York coastline. Danish fossil fuel company DONG is also positioning itself as a leader in offshore wind energy development, and Shell created a division in 2016 to focus on wind power. If that trend continues this year, it would be positive news for the future of the climate. With America falling from its leadership perch at global climate talks, China may take over as the world’s top leader on climate action (Europe may also step up on climate policy, as it did when George H. Bush was president). That’s a sea change from five years ago, when the world’s most populous country largely ignored the impacts of its air and water pollution and greenhouse gas emissions. Residents in China play small individual roles in causing global warming, but the country’s function as the world’s biggest manufacturing hub causes choking air pollution, and it makes the country the world’s biggest overall greenhouse gas polluter. Following small trial runs, China in 2017 plans to roll out the world’s biggest cap-and-trade program, which will limit greenhouse gas pollution and charge fees to polluters. 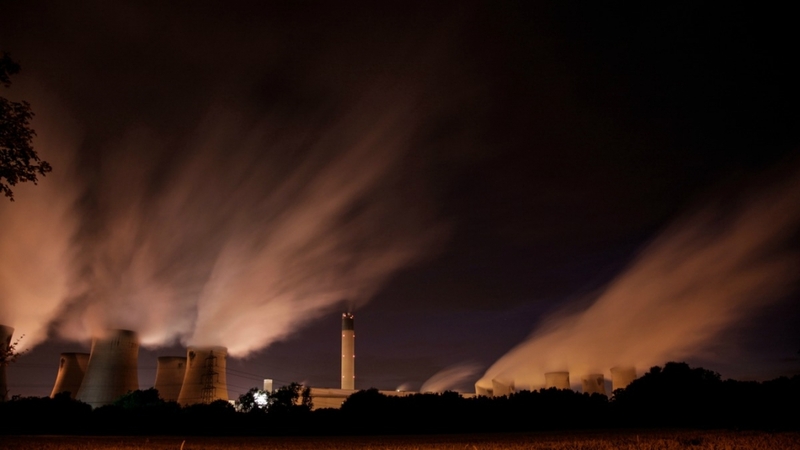 The Paris pact strongly emphasizes support for carbon trading measures like those planned in China. Similar programs have been planned or introduced in New Zealand, South Korea, Kazakhstan and Ontario. But the task will be technically difficult for a country as vast as China’s, one that lacks the types of sophisticated governance structures typically found in Western democracies. If China can overcome those logistical hurdles, the world’s emerging leader on climate action could play a pivotal role in crafting and honing the kinds of administrative rules and tools that will be needed almost everywhere to help keep the Paris pact on track.